Asher Millstone. John Bennett. Do those two names sound familiar? They should, especially since they're characters from ABC's How to Get Away with Murder and Netflix's Orange Is the New Black, respectively. You know why else you should recognize them? Because they are played by the talented Matt McGorry. There's no doubt he's made a name for himself in the television world, but you know where else McGorry is becoming well-known? The world of feminism. 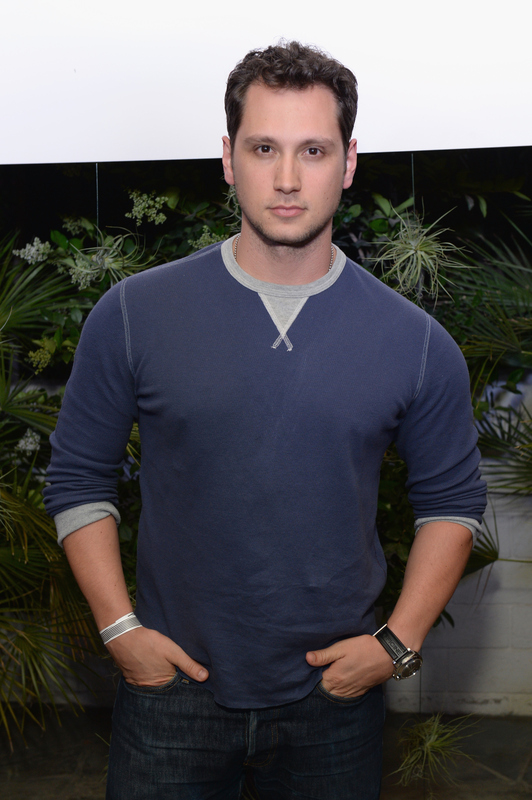 That's right, Matt McGorry is a feminist — and proud of it. First, let's give the actor a huge round of applause for shining a positive light on feminism. Sadly, when the word "feminist" is uttered, many people associate negative thoughts with the term, which, funnily enough, doesn't mean anything bad. It's all about people (both women and men) believing in gender equality. What's so scary and awful about that? Thankfully, we have people like McGorry taking a stand and giving real talk about a topic that is extremely important. On more than one occasion, the TV star has opened up on social media or during interviews about feminism, and I think it's time we honor McGorry's inspirational ways by showcasing the many times he's promoted feminism. In October 2014, McGorry first dipped his toes into the feminism water. Actually, as you can see above, he admitted to not ever knowing the true definition of the word. Basically, this was when feminist McGorry was born. Leave it to McGorry to get passionate about feminism on Twitter. I mean, how can you not swoon over someone who says things like this? On Facebook, which is where he shares a lot of his feminist messages, he wrote an Equal Pay Day essay of around 900 words. Here's just a snippet: "By limiting girls and women with our own ignorant misconceptions, we are preventing them from having the greatest possible chance to succeed in their careers (and in life generally). This makes it less of a choice for women to pursue their careers and more of a societal, coercing 'HINT HINT'ing that they shouldn’t." A real-life hero, people. Even though McGorry is known for his "masculine" qualities — he was once a power lifter and personal trainer — he doesn't believe that means he, or anyone else, can't be a feminist. As he told Mic, "I think that all those things — having some traits that are traditionally masculine — doesn't exclude me from wanting gender equality. I don't think they're mutually exclusive things." Also, McGorry wholeheartedly believes feminism "benefits everyone." Preach. While chatting with TheWrap, McGorry said he cried watching Emma Watson's United Nation's speech promoting her #HeForShe campaign. He said, "From there I ended up watching Emma Watson’s UN speech and crying during it. This was on International Women’s Day and she did a big Q&A with Facebook — I spent a lot of the day sort of crying, but in a wonderful way... I feel really passionate about this. It’s something I've been trying to continue to support now, on social media." Basically, everyone follow him on social media, stat. During that same interview with TheWrap, McGorry said he read Lean In by Sheryl Sandberg. "I had a really amazing and powerful day a couple weeks ago, where I read Sheryl Sandberg’s book Lean In for a Cosmo article I did," he said. "I think it opened my eyes to a lot of things I took for granted or didn’t quite realize were going on." As he told TheWrap, his goal is to “shake people’s definition up of feminism. It’s a very simple word but a lot of people misunderstand.” See? Amazing. Now, let's break out into some Asher Millstone dance moves as a way to celebrate Matt McGorry.